With the rising cost of living and credit becoming more freely available, an increasing number of individuals are struggling with debt. 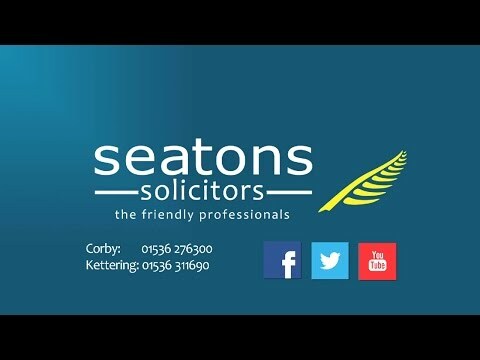 At Seatons, our team of experienced specialists can help offer clear, easy-to-understand legal advice at low sensible fees to enable you to manage and reduce your debts. We will listen to your problems and provide solutions that will allow you to get your finances back on track. We understand that being unable to pay the debts you owe is an extremely stressful and difficult time. The worst possible thing that you could do is to ignore the creditors and the debts that you. This will only make things worse. It is essential that you seek advise about your insolvency issues as early as possible. There are two types of personal insolvency that are available to you. If you are found to be unable to pay your debts, then you will be deemed bankrupt. The court will make a bankruptcy order and your assets will be divided among creditors. A way to avoid bankruptcy is to agree an individual voluntary agreement or IVA. This is a way to pay your creditors a certain amount of your debt with regular payments made to an insolvency practitioner. The benefits of this is that you will avoid the normal pitfalls of bankruptcy. However, it can be cancelled at any point if repayments are not up to date. This page is dedicated to personal insolvency. This does not apply to those whose company cannot pay its creditors. Bankruptcy occurs where an individual is found to be unable to pay their debts. In this circumstance, the individual is deemed personally insolvent and the Court can make a Bankruptcy Order. The property is subsequently vested in a trustee who will, in turn, distribute it amongst your creditors. Your Trustee deals with your financial affairs. An advertisement is made in the local newspaper to enable potential creditors to make a claim against you. Certain financial restrictions will be imposed upon you. It is important to note that it is a criminal offence to break the above restrictions and that you will be prosecuted if you do. Therefore, we advise that all possible avenues are thoroughly contemplated before proceeding with bankruptcy. Here at Seatons we will guide you through your bankruptcy proceedings. We understand it is a very difficult, frustrating and upsetting. We will be with you every step of the way and will make sure that you are always aware of all the options and what is happening always. A possible way to avoid bankruptcy would be to agree to an Individual Voluntary Arrangement (IVA). An IVA is an agreement with your creditors to pay a certain amount of your debt with regular payments made to an insolvency practitioner, who will distribute this money amongst the relevant parties. Choosing an IVA means that the debtor avoids the disadvantages associated with bankruptcy; most notably, the disqualifications, financial restrictions and the possibility of examination in an open court. The creditors also stand a greater chance of recovering their money in full. At the same time, it is important to note that an IVA can be cancelled at any time if the repayments are not kept up to date with. Here at Seatons we will guide you through every step of the IVA and ensure that you are aware of all the implications and benefits of entering an IVA. We will take our time to ensure that this is the most cost effective way of dealing with the incident. If you are in financial trouble and believe that you are facing bankruptcy, then please do not hesitate to call us for a free no obligation chat over the phone, we will assess your situation and advise you on the next steps to take. We will work on a fair fixed fee basis so that you can successfully get through the insolvency.